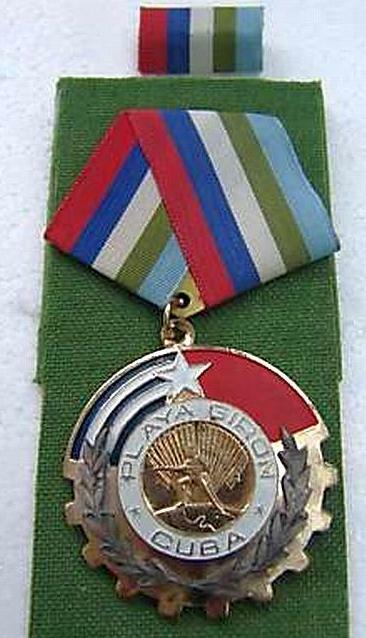 Any photos of the Playa Giron award in both its present incarnation and earlier designs as well? 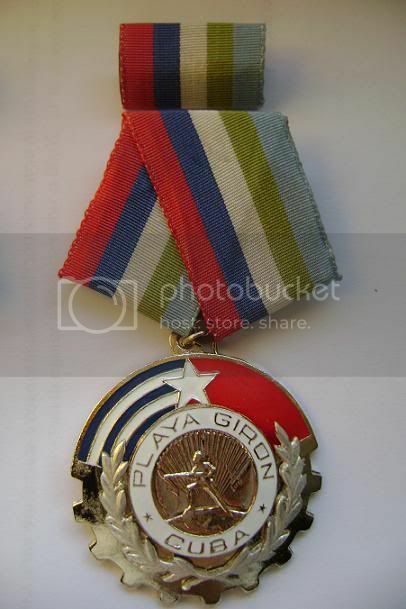 Just for fun, here's the campaign medal for Playa Giron. 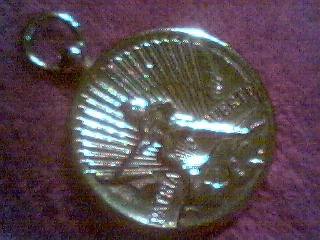 An earlier bronze one..
That's the Bay of Pigs for the rest of you who were wondering. A major moment in history. 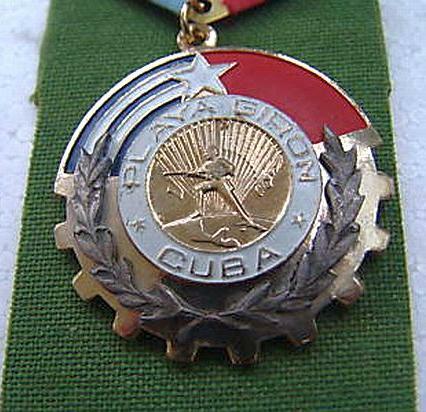 This is a permanent Order not actually--or at least, not since creation-- given FOR the Bay of Pigs. It's just named after that. 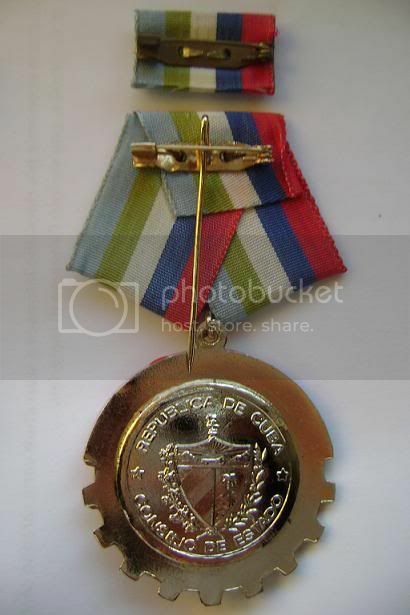 The precise distinctions between why ONE award was given to anybody as opposed to another one (like Eddie's just posted Order of Solidarity etc) remains confusing to me. 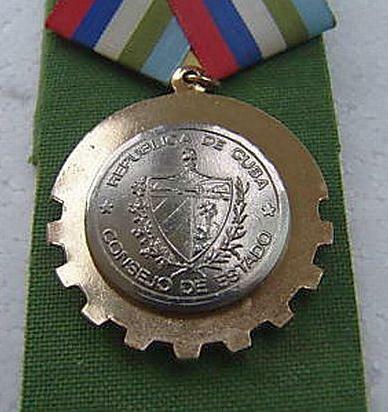 For Cubans and foreigners, chiefs of State or provinces who have extraordinarily distinguished themselves in the struggle against (common boilerplate doesn't help) "imperialialism, colonialism, neo-colonialism, racism, fascism, and other forms of exploitation;" for armed forces defensive capabilities, great merit in favor (!) 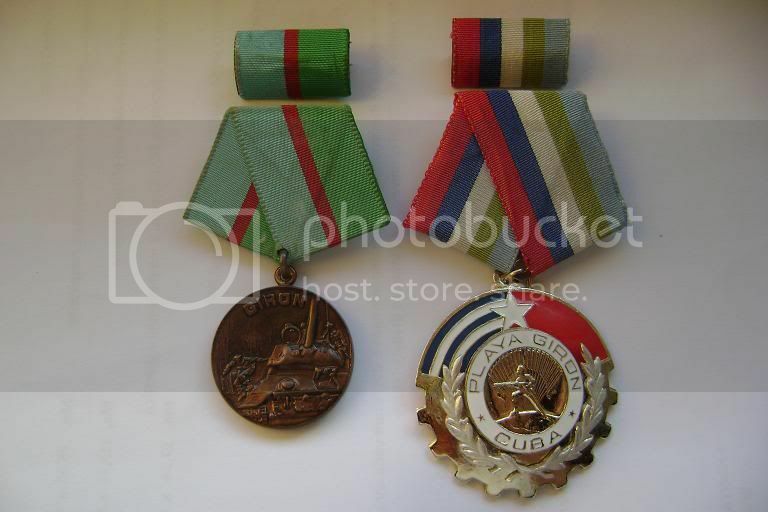 of the "progress of humanity," and for defense of the Cuban revolution. 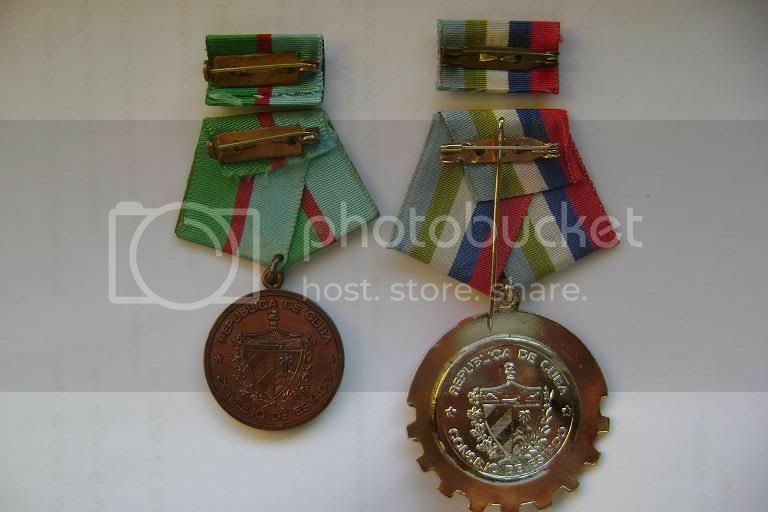 That pretty much covers anything... so I'd guess this order is for more Senior Comrades than awards lower down the precedence scale.